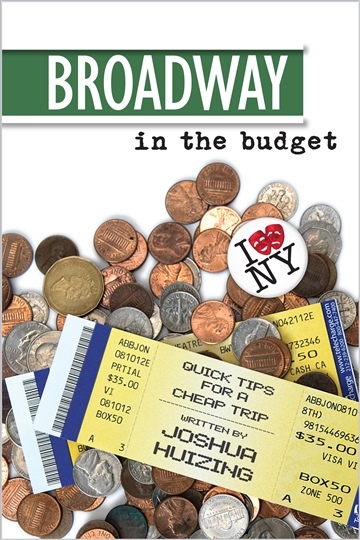 Broadway tickets can be expensive! Thankfully, listed all over the Internet are great options for seeing a show inexpensively. Even so, it can be intimidating to figure out which options are best and how to plan really well. Based on years of successful experience, this concise book aims to make you a cheap ticket veteran in no time. Break a leg! Joshua Huizing is a musician and youth minister. After a great experience getting to see Wicked on Halloween in 2004, he quickly became obsessed with never paying full price for Broadway shows. He decided to write a book after realizing his strategies for acquiring inexpensive tickets were not common knowledge even among NYC locals. He lives on Long Island. "As a starving actor/singer who LOVES attending the theatre, I highly recommend Josh's book. I have lived in the city for six years and oftentimes miss out on shows because I think I don't have the time or money to go. With the tips in this book, I am definitely going to change that! This is a practical, simple way to build more theatre into your life as a local OR tourist. Run to the theatre and start implementing Josh's helpful hints!"